As unbelievable as it sounds, most of the Hollywood bigwigs controlling the spotlight today were made on the small screen, appearing in ads and selling some of America’s best products. Nonetheless, some of the most famous commercials actors may not be recognized at the mention of their names but their faces are not easily forgotten even after so many years. Interestingly, some of the most famous commercial actors around have made quite a fortune from the few minutes or even seconds that they appear in ads for big brands. in fact, they often make more than a professional actor in a movie just by appearing in one commercial. Below are some of the popular commercial stars we can always relate to. For years, these amazing ads have entertained us with their plots and characters brought to life by some of the most famous commercial actors the small screen has ever seen. Enjoy the read and don’t be surprised when you see one or two familiar faces that might have some good old memories flooding in. He is an American actor who has come to be known more as a spokesperson for Verizon, the Telecommunications company he advertised for. He played the “Test Man” role in the Verizon Wireless commercials which earned him the nickname – “Can you hear me now?”. He started giving life to the Test man character in 2002, appearing in the commercials, clad in his signature gray Verizon jacket and horn-rimmed glasses. In 2011, Verizon shook things up in their advertising campaign which meant Paul Marcarelli will no longer be the Test Man, a role which earned him the title of one of the Most Intriguing people of 2002 as given by Entertainment Weekly. While he’s mostly known for his appearances in Verizon ads, he didn’t make the list of most famous commercial actors by selling brands for one company. Before Verizon secured his services, Paul Marcarelli was already an accomplished commercial actor and advertised brands for companies like Old Navy, Dasani, Heineken, T-Mobile as well as Merrill Lynch. He has also promoted companies in several other ways. In 2016, Marcarelli switched from his popular “can you hear me now?” tagline to the holiday-themed Sprint commercials as the spokesman of the company (Sprint) and often refers to his switch from Verizon to Sprint in the new commercials. Having strut his stuff for Verizon for nine years, in addition to several other endeavors, Paul has amassed a net worth of $10 million. Since she showed us what a real-life Wendy looks like, Morgan Smith-Goodwin has been a sweet sensation on national TV. 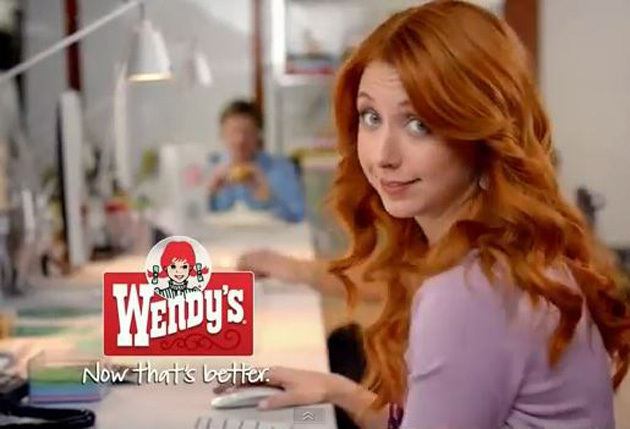 She has been playing the red-haired girl in Wendy’s restaurants’ commercials since 2012. The role required her to transition from her naturally dark blonde hair to “orangey-red” to fit into the character. Playing the character made her popular because she was the first real-life version of Wendy and did a good job representing it. Prior to Wendy’s, she appeared in one episode of “Boardwalk Empire” and currently plays a regular role on “Veep”. She has since revived her natural blonde roots to fit into other roles. She has $3 million in net worth. Most of us grew up watching Jonathan Goldsmith on commercials. He is your typical commercial veteran as he started off in the ’60s. However, it was his appearance in the Dos Equis beer ad campaign which kicked off in 2006 and ended in 2016 that made him “the most interesting man in the world”. The campaign takes credit for the 15.4 percent sales increase which the beer brand saw in the United States in 2009. Goldsmith also gave internet users a very popular meme to work with. In 2016, Dos Equis replaced Goldsmith with French actor Augustin Legrand who continued to play the “Most Interesting Man in the World”. The company did this in a bid to keep the brand relevant and ensure it doesn’t look stale to the modern-day consumers. Notwithstanding, Goldsmith didn’t retire but switched from beer to tequila in June 2017. He can be seen in ads for Astral Tequila and has a whopping $8 million in net worth accrued from his years of hard work, selling top brands on television. She started her career as an entertainer in the theatre before moving to LA for a chance to appear on the screen. To make quick cash while waiting for movie roles to start rolling in, Stephanie Courtney resorted to commercials and got her first national commercial in a Bud Light ad in 1999. She continued to appear in minor roles in commercials for brands like McDonald’s, Quaker Oats, Toyota, Skittles, among others until she landed her breakthrough ad campaign, playing the character of Flo in 2006. 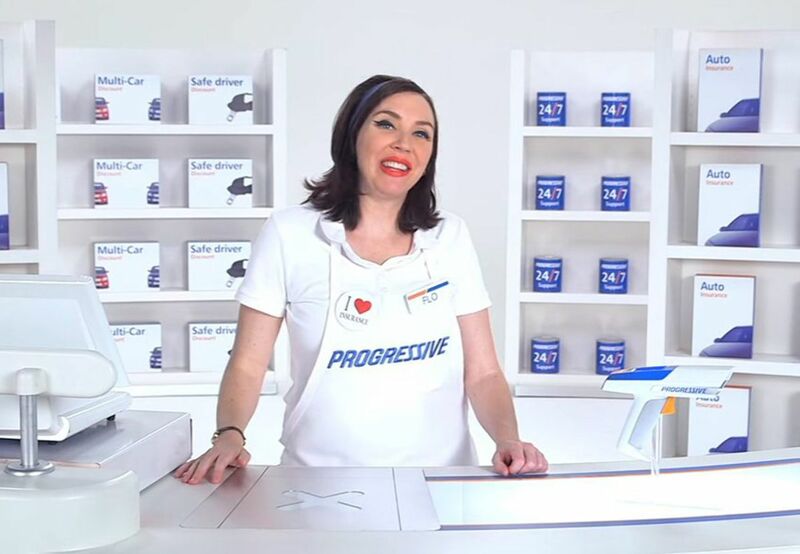 Her role in the Progressive Insurance TV commercial has garnered a huge fan following on social media and so far, she has made a fortune in her career. Her net worth sits at $6 million. In 2010, Carly Folkes began her career-defining role as T-Mobile 4G spokesperson, appearing in the brand’s many websites as well as US networks. She was so good in portraying the T-Mobile girl that the initial plan to have her in two or three ads turned to multiple commercials, making her one of the famous commercial actors who captured the hearts of audiences at the time. According to Business Insider’s Laura Stampler, Carly is easily one of the most recognizable brand spokespeople and we couldn’t agree more. Before she was ousted by Shakira in the T-Mobile ad campaign, she was able to garner a net worth of $3 million. Though she is no longer appearing in the ads, her contract with the company remains valid, meaning she might make a comeback in the future. Asides being a popular face on comedy shows and movies, Diane Amos is one of the famous commercial actors who has been in the business for more than two decades. 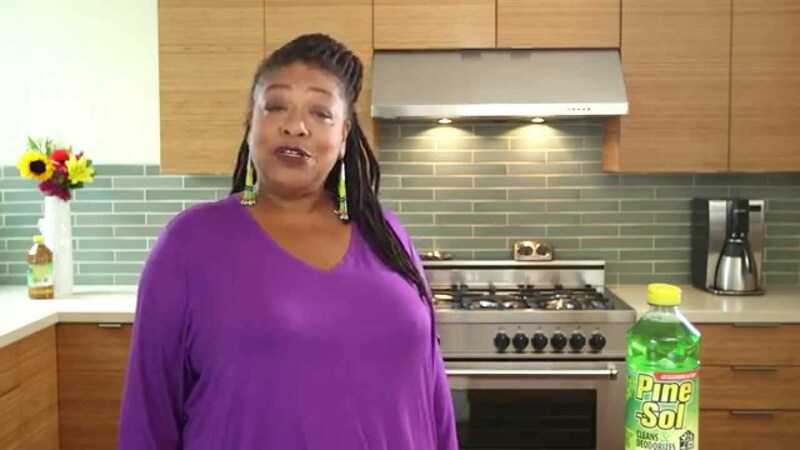 She is known for appearing in Pine-Sol ads since 1993. Being the acclaimed Pinsol Lady for such a long time helped the comedienne in garnering a net worth pegged at around $2.5 million. 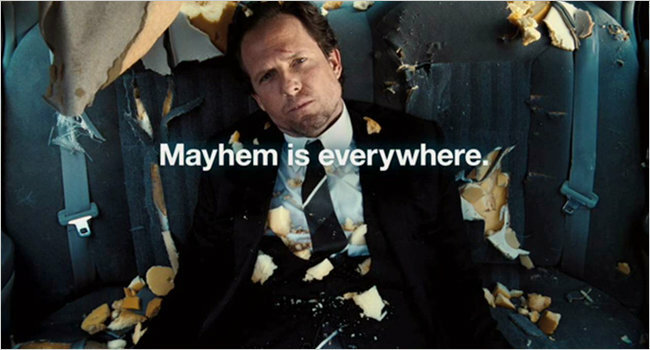 He may have failed to outshine Progressive Insurance character known as Flo but Dean Winters role as Mr. Mayhem in the popular Allstate Insurance commercials achieved two things for the actor. For the most part, Dean Winters has been able to parade 4 million dollars as his net worth and equally became a household name in the entertainment industry. Several ads and campaigns have featured this popular actor but the one we won’t easily forget is his appearance on Allstate commercials. Though the insurance company made him their official spokesman, the American actor was already in the limelight before Allstate came along. Dennis Haysbert is renowned for his role in the world-class TV show titled “24” and a myriad of other shows and movies. Little wonder he was able to accrue a net worth of $42 million. He is an American actor who used to play football as a wide receiver but what really brought Isaiah Mustafa to the spotlight is his widely-acclaimed role as “The Man Your Man Could Smell Like” in the plethora of Old Spice commercials on TV. He picked up the main role in the ad campaign in February 2010 and soon became a household name, marketing the American brand of male grooming products manufactured by Procter & Gamble. The products range from deodorants, shampoos, body washes, as well as soaps. His Old Spice commercials garnered a strong fan base and subsequently, the company filmed YouTube videos with Mustapha attending to personal questions from fans who reached out to him through online platforms like Reddit, Facebook, and Twitter. Considering he has a net worth of $5 million, Mustafa is not just among the most famous commercial actors, he is also one of the richest. If you have been regular in watching television for the past few years, Milana Vayntrub‘s face must arouse fun memories. She is easily spotted, portraying the bubbly Lily Adams in AT&T television commercials. So far, she has appeared in over forty of them and has been at it since November 2013. The effortless switch between personalities makes her character on the commercials special and popular among fans. Milana is also an accomplished actress with several films and TV credit. Among her remarkable roles is as Tina Shukshin in “Other Space”, a Yahoo! Screen original series. In 2017, she was cast to play the superheroine Squirrel Girl in “New Warriors”, a Marvel television series. Without any doubt, reading through this piece must have brought back some pleasant memories and taught you a thing or two about some of the most admired commercial actors. In case we missed any of the entertainers who you think deserves a mention on this list of famous commercial actors, do leave a comment.